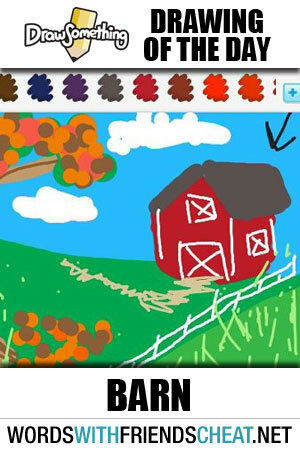 BARN is today’s Draw Something – Drawing Of The Day. Victoria was able to bring out the smallest of detail, which really makes this picture work. From the fruit on the orchard trees, to the pathway to the front door, this illustration brings out vivid detail and great imagination.